Viral video blames Florida students for their own school shooting, and Fox News host Tomi Lahren claims the answer to mass shootings is MORE prayer, not gun control. The February 14, 2018 mass shooting at Marjory Stoneman Douglas High School in Parkland, Florida, in which 17 were killed and an additional 15 were sent to area hospitals weighs heavy on the American heart. As one might expect by now, conservatives were quick to put their spin on the shooting, sparking significant outrage among student survivors and their parents and advocates of common sense gun legislation. Two videos in particular sparked controversy, and The Young Turks producer and host Hasan Piker weighed in – with disgust – in the video clip at the bottom of this article. Conservative motivational speaker Sean Whalen took to YouTube and Facebook posting a roughly 3-minute video blaming the “snowflake students” at the Florida high school for the shooting. That video has received a combined total of over 10 million views so far. “Can the Left let the families grieve for even 24 hours before they push their anti-gun and anti-gunowner agenda? My goodness. This isn’t about a gun it’s about another lunatic,” she tweeted. Lahren also shared her “final thoughts” on the shooting in a video aired by Fox News in which she claimed the answer to mass shootings is MORE prayer, not gun control. “Ya know, thoughts and prayers might seem laughable to some of you. But maybe, just maybe, more Jesus, more God, more prayer and more compassion is what we are missing. The Young Turks producer and host Hasan Piker weighted in on both videos in an amazing 5-minute, 50-second clip he first posted on Facebook and later added on his YouTube page. 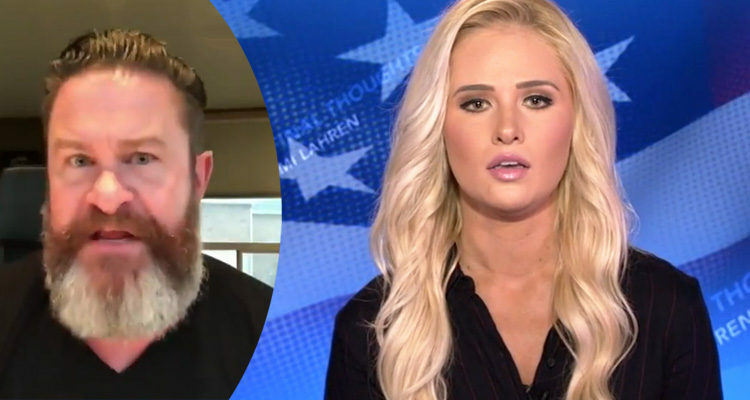 Viral Video from Sean Whalen blames “snowflake students” for the latest school shooting and Tomi Lahren claims the answer to mass shootings is MORE prayer, not gun control. + Tomatillo immediately gets dunked on by the survivors.